Formerly a fashion major and entrepreneur, Archan started painting in 2006 at the age of 24 and made the shift to independent artist in 2007. Since then he has embarked on an exhilarating and inspirational journey, collaborating with various companies and individuals around the world such as Canon, Nike, Tiger Beer, Sony etc. Archan has been featured in various publications including Computer Arts, Digital Arts, Advanced Photoshop,GQ, Bak, Vanity Fair, and has achieved recognition from music artists like Kanye West. Archan's passion and love for the creative process and expressing himself has opened a whole new journey, where he is exploring the beautiful essence of life. 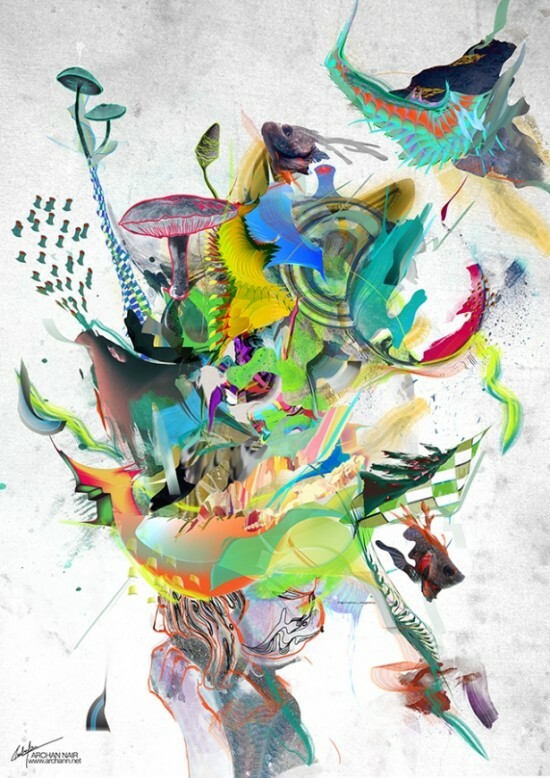 © 2019 Archan Nair. All rights reserved.